Days at sea can be a point of contention on an expedition ship. In the mainstream world of the large cruise ships, days at sea are expected and commonplace and allow one to use the climbing wall, graze further on all you can eat buffets, fight over sun chairs on the pool deck and other mundane activities to while away the hours as you cross the Atlantic or where ever you may be. But expedition ships are a different breed, and days at sea generally only occur when there is no other option and those days are utilised as times to further enhance your knowledge and the experience of your chosen destination. Ponant is the latest in an increasingly longer line of cruise operators making the transition from “luxury yacht” style brand to a more expedition focussed program. Le Soleal is essentially a brand new ship having only been launched in 2014 and whilst sounding like a classic marketing line, she truly is the latest and greatest when it comes to ships designed for expedition voyages. With her heritage deep in the Ponant line however, she is well equipped in the luxury department as well. The Ponant brand sits within a corporate stable of other high end French-based brands such as Gucci, giving rise to the affectionate nick name “the Gucci cruise line”. Ponant is further stretching the boundaries of the “hybrid luxury/expedition cruise” that is leading the current surge in expedition cruise popularity with its brand new ships and fine classical service. So what does that mean for a consumer of expedition cruises on a day at sea, or indeed any other day, onboard a luxury expedition yacht such as Le Soleal? To give an example, the slightly larger size of Ponant’s vessels compared to say the last decades generation of luxury expedition ships (think MV Orion or similar) gives rise to a slightly larger crew. Ponant’s ships of course have an Expedition Leader (EL) and the pre-requisite team of experts to fill your head with knowledge of where you are and what you are doing. But the larger crew allows for such “classic” crew positions as a “cruise director” (think Julie of Love Boat fame). And Le Soleal’s cruise director is world class. The all singing, all smiling Simone is a breath of fresh air on an expedition and having such a capable person to enhance the guest experience from the “luxury yacht” side actually frees up the expedition leader and his team to focus purely on the hard-core expedition side of things, a formula that seems to be working well here onboard. 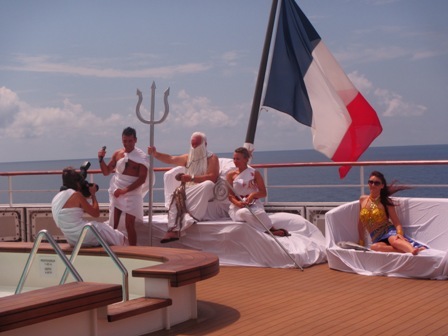 Today as we continue steaming north on the Molluccan Sea and across the equator, still deep in the spice islands, Simone and his team presented an elaborate “crossing the line” ceremony that was all class and worthy of a Gucci experience. 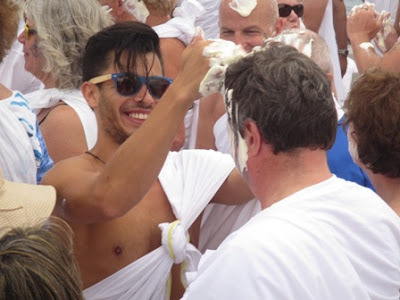 Shellbacks, who are fellow guests that are virgins to crossing the equator by sea, were dressed in togas and paraded around the deck in a stage managed, choreographed event that King Neptune himself would have been proud of. 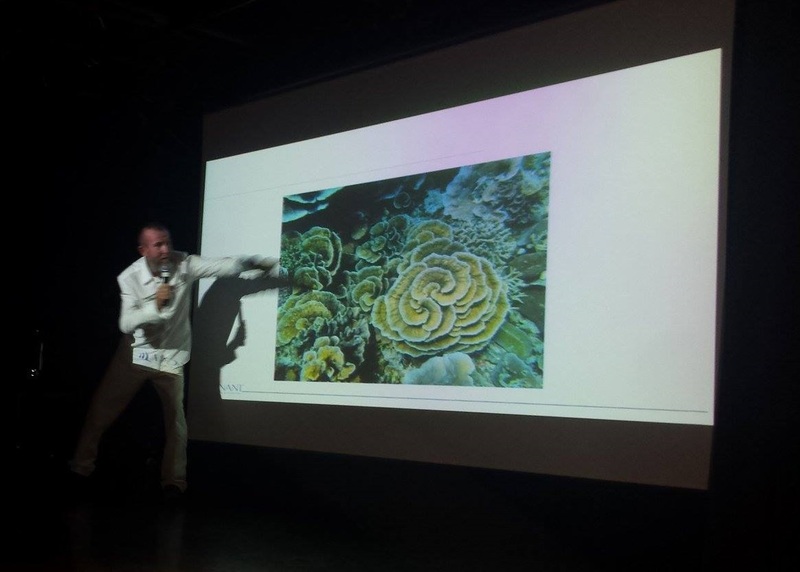 But it’s still an expedition and the likes of our ships botanist, Dr Greg Calvert were still on hand to present detailed lectures on what those spice producing plants we saw yesterday really were. Likewise veteran expedition marine biologist Mark “Harry” Christensen, who was in fact the man who trained me as an expedition leader some decades ago, filled our heads with facts as to what was going on in the underwater world around us. Days at sea are inevitable, even on expedition ships. They are part of the experience for you to make the most of. So I’m signing off now so I can get a couple more champagnes in on deck before the next round of mind blowing lectures on my Gucci expedition to the spice islands and beyond.